Tires are one of the most important parts of your vehicle since the vehicle literally rests and moves on them. Unfortunately, in recent years, a spate of tire problems has led to serious and fatal injuries. Some of the problems involve an issue with the tires themselves, such as when tires on Mercury Mountaineers and Ford Explorers began losing their treads and disintegrating. In other cases, the problem with the tires is caused by another vehicle defect. For example, on December 18th, Auto Blog reported that Jaguar Land Rover had issued a recall on up to 70 different vehicles due to brake problems. The issue: the bake caliper could detach and could damage a wheel by causing tire deflation. In any case, whether the problem is isolated to the tire or whether there is a larger issue that could impact the tires, manufacturers must act quickly in notifying the public of the dangers. A failure to provide proper notice of the defect and to institute a timely recall could put thousands in harm’s way, and our Boston accident attorneys understand the devastating consequences that can result. When a tire or any part of a vehicle has a defect, the manufacturer of either the tire or of the vehicle is often one of the first to become aware of the potential problem. The manufacturer is also in the best position to investigate the potential dangers and to warn their customers. When a tire malfunctions, for example, manufacturers can issue a warning and institute a recall of all vehicles with the faulty or the malfunctioning tire. The NHTSA details the recall rules on their website including outlining when a recall may be required. Car manufacturers also have another important obligation in addition to communicating with customers. That obligation is to notify the National Highway Traffic Safety Administration (NHTSA) and the Department of Transportation (DOT) that there is a problem. By providing proper and timely notice to the government, car manufacturers can jump-start an investigation into potential dangers that are impacting consumers. The relevant government authorities can take action to warn and to help the public who may be in danger due to the defect. Letting the government know of defects is so important that there are actually regulations in the U.S. that require manufacturers to share problems with the government. When a manufacturer fails to institute a recall and/or to let the appropriate government authorities know that their cars or tires have a defect, more lives are put at risk as people continue using their defective cars or tires without being aware of the fact they are putting themselves in danger. Car manufacturers can face strict punishments as a result of the danger to life that they create by failure to follow U.S. Safety Guidelines and report safety risks. 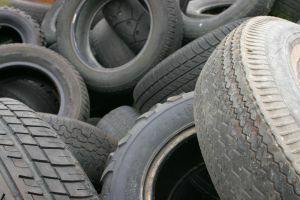 According to a December 18, 2012 article on Tire Business.com, for example, Toyota recently had to pay a $17.4 million fine for a failure to report a defect in their vehicles involving an accelerator pedal becoming trapped. Toyota’s fine was a record fine, the largest in history for failure to report a defect. However, it demonstrates clearly the cost to car-makers who are lax in their safety obligations to consumers. In the event that a tire defect is faced in the future, manufactures should remember the large fine as an important cautionary story and should be sure to take prompt and swift action to let consumers know that bad tires might put them at risk. Defective Tire Recalls in 2012, Boston Personal Injury Attorney Blog, January 9, 2013.